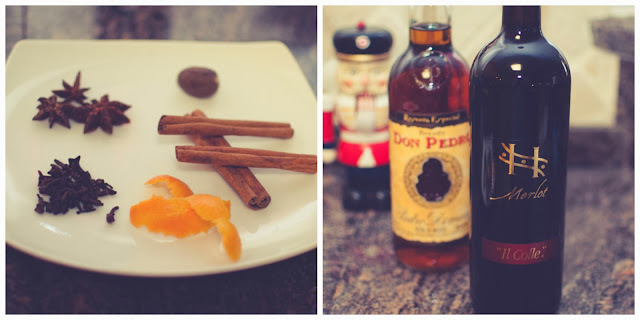 Winter Cocktails - Mulled Wine Recipe | La Petite Noob | A Toronto-Based Fashion and Lifestyle Blog. 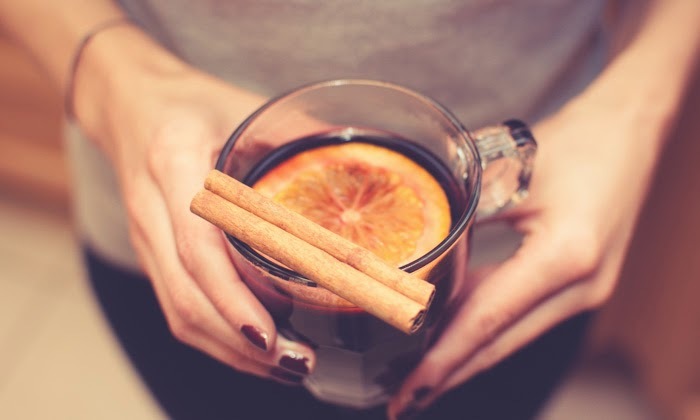 Is there anything more festive than a glass of steaming hot, perfectly spiced mulled wine on a snowy evening? Even those who don't enjoy the deep, rich taste of the beverage can easily appreciate the tantilizing aroma that this slow-cooking drink gives out - sweet, spicy and perfect for the winter season. 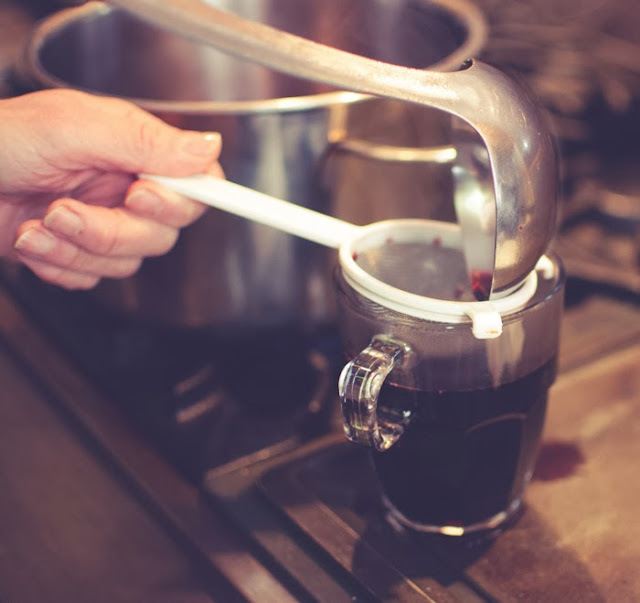 Mulled wine is a decadent treat to enjoy alone, or can act as an instant, simple crowd pleaser with guests - just keep the wine simmering and ladle a glass to serve as guests start to arrive. Peel strips from the rind of your orange or clementine. 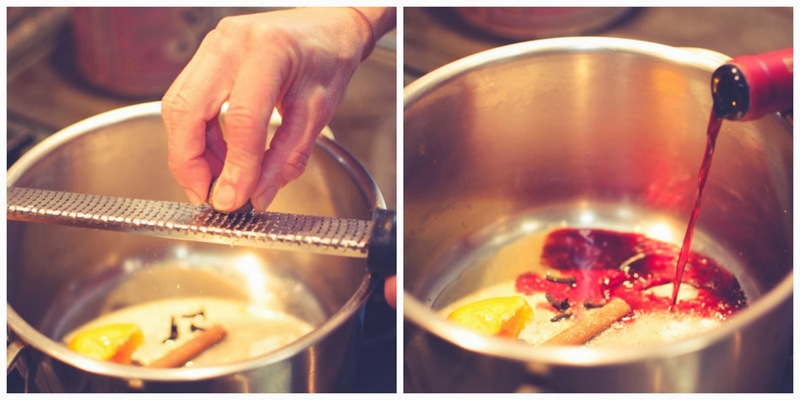 Place the peel, sugar and squeezed juice from your citrus into a medium saucepan. Add the cloves, cinnamon stick, and some grated nutmeg. 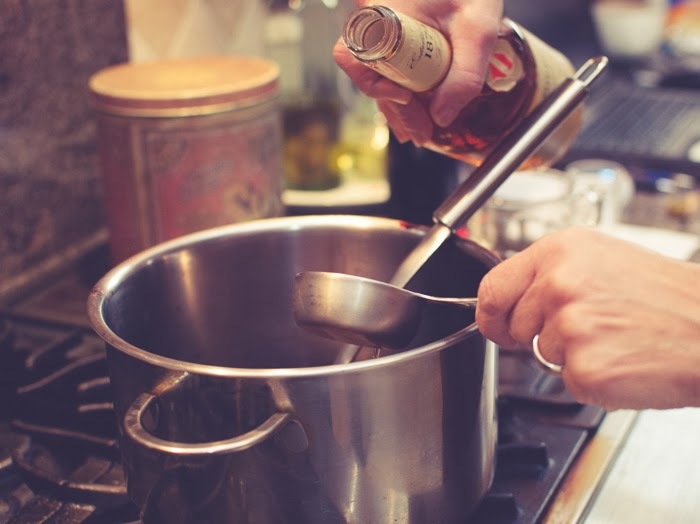 Cover all ingredients with a small portion of the wine - only use enough to just cover your sugar - and bring to a simmer over medium heat. Let this simmer for 5 - 7 minutes, enough time to turn your ingredients into a light syrup. 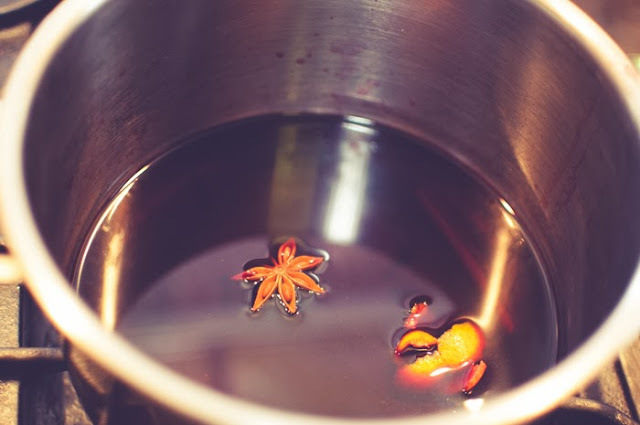 This allows your spices to really infuse, and to bring some heat to the mulled wine without later allowing too much alcohol to cook off. Add the rest of the wine, along with the star anise, and let simmer for about 5 minutes. 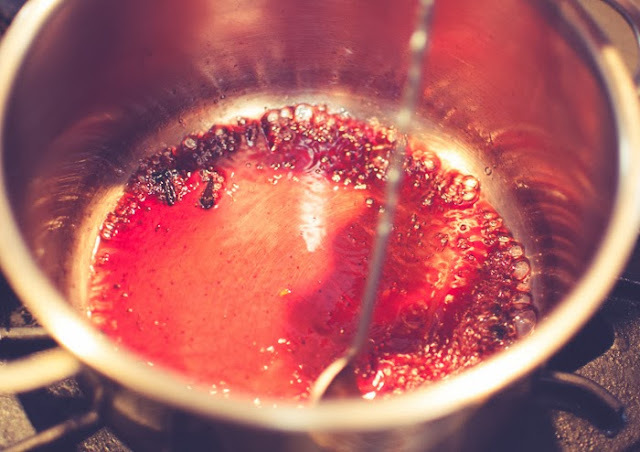 Add your brandy, and allow the mulled wine to simmer for another 5 to 10 minutes. I always like to ladle a bit of the wine into a small glass to taste as the mulled wine simmers in its last stages. You will be amazed at how quickly the depth,warmth and flavour change the longer the beverage cooks. I typically like to leave the mulled wine simmering for the full 10 minutes after adding the brandy for maximum warmth and flavour. Next you will need to strain your mulled wine. I find that ladling the mixture into a small strainer per glass is the simplest way to achieve this. The last, and most important step, is to garnish, serve and enjoy! I like to garnish each glass with a simple cinnamon stick. You can get creative with adding pieces of citrus or different spices. This recipe makes about 4 servings of mulled wine, but can be easily doubled when hosting a large group of guests. Here's to making the most out of winter, and to creating a wonderful cold-weather beverage to help get us through the darker months. Cheers and enjoy. I'm with you - it doesn't take me much convincing to enjoy a glass of red on it's own, but mulled wine is my favourite way to change it up! Thanks for the positive thoughts!